My equipment has a LEMO multi-pin receptacle and I need the mating plug. How do I determine the LEMO part number I need? 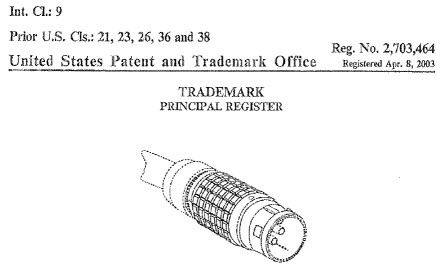 Are LEMO connector design trademark registered? Can I distinguish a full part number from partial data on my LEMO plug or receptacle? How does LEMO determine the maximum recommended operating voltage? Can I download PDF drawings of LEMO connector from this web site? My equipment has a LEMO receptacle with a concentric contact, how do I determine the part number? Does LEMO have BNC adaptors? What is a cable group? What type of thread lock material may I use on REDEL® connectors? How do I know if I have a LEMO Connector? Does LEMO offer customer specific stocking programs? How do I order my plug with a bend relief? Before LEMO can assist with a mating plug part number, we must first identify the LEMO receptacle. First, check your equipment documentation to see if the LEMO part number is included. If not, check the equipment manufacturer's web site to determine if they reference this information. If the first two steps do not yield a LEMO part number download a Receptacle Identification Guide for more assistance. The mark consists "...of truncated pyramidal projections formed on an outer surface of a connector, and with each truncated pyramidal projection having a square based on a square top"
The 5th letter of a LEMO part number is an indication of the connector series. Other information needed to determine a full part number is as follows: How many contacts (pins) are in the insert of the connector? Is the shell soft chrome plated brass shell? Are the terminations solder or crimp? What is the diameter of the cable entering the rear of the connector (in millimetres if possible)? Is there a bend relief (strain relief) at the transition between the connector and the cable? What is the colour of the connector? See Part Numbers Explained for more information about LEMO's part numbering system. LEMO takes pride in strictly following the IEC Standard. LEMO always has the safety of the user in mind when LEMO publishes specs or make recommendations. No, however, in the near future this feature will be added. In the meantime, you can contact info@lemo.com LEMO engineering for CAD files. The Concentric Contact Guide should enable you to re-create the LEMO part number for most concentric connectors. You can also refer to Part Numbers Explained for more information. When contacting LEMO please mention that you estimated or re-created this part number so that Customer Service can double-check the information. Yes, you can find several BNC adapters referenced in the NIM-CAMAC 00 series Catalog. LEMO's coaxial contacts are designed to accept a range of coaxial cables. A LEMO cable group describes the group of cables that are compatible with a particular contact. For example, the 2B.802 can work with cable group 1 (RG.174 A/U, RG.188 A/U, RG.316 /U), group 2 (RG.178 B/U, RG.196 A/U) and group 3 (RG.179 B/U, RG.187 A/U). For more information, contact info@lemo.com. LEMO recommends cleaning the connector with Isopropyl Alcohol prior to thread lock adhesive. We have a specific formulation of Vibra-Tite® for the PSU (Polysulfone) and PEI (Polyetherimide) used by LEMO, VTCS-6. For more detail, view the assembly instructions. LEMO entities in the U.S.A., Germany, United Kingdom, and in other countries hold large inventories in order to meet expected demand of products or parts. This helps to ensure that standard parts are available within a short lead-time. For customers with significant large-volume business, LEMO offers discounts and safety stocks. A safety stock is an amount of inventory reserved for a customer according to an existing contract. Please contact info@lemo.com LEMO to discuss forecasts, delivery, and safety stock needs, and to negotiate an individual agreement. Bend reliefs are ordered separately from plugs. They come in various colours, and with different inside diameters. When ordering a plug, add the variant letter "Z" to the end of the part number to specify a rear collet nut with a lip to accept the bend relief.